Maria Edgeworth (1 January 1768 – 22 May 1849) was a prolific Irish writer of adults’ and children’s literature. She was one of the first realist writers in children’s literature and was a significant figure in the evolution of the novel in Europe. She held advanced views, for a woman of her time, on estate management, politics and education, and corresponded with some of the leading literary and economic writers, including Sir Walter Scott and David Ricardo. 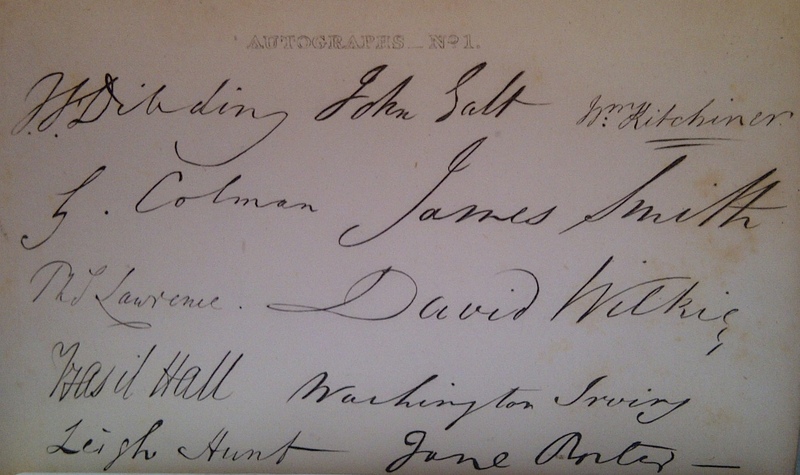 Note: Spotty research suggests that author signatures were often solicited to better position a book within the marketplace, bringing it prestige even when the author may not have placed a written piece within a particular Literary Souvenir. 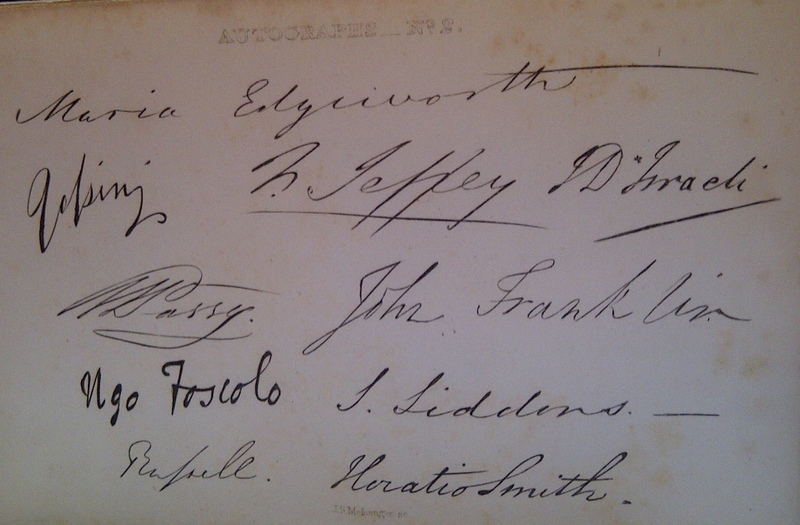 This may account for Maria Edgeworth’s signature on this signatory page, though no written piece by her is published in this edition.